Whats In Your Moleskine Pocket? My Moleskine is a vital part of my life, it serves as a permanent record of the daily thoughts and ideas of my life. I hope to one day pass on all of my accumulated journals to the fire of forgetfulness. 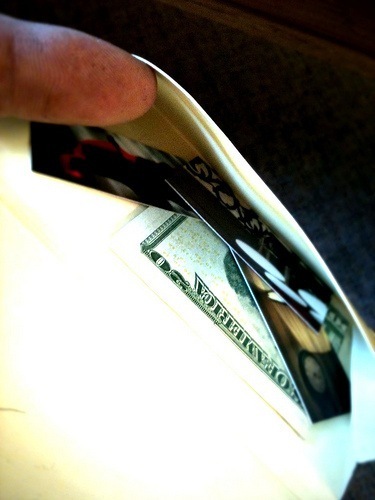 In the pocket, I keep a $20 bill for emergencies, and a couple of Moo cards for interactions with new people. I never go anywhere without my Mole!